Get excited, folks! It’s not long until we’ll be switching into summer mode so it’s time to start putting a couple of cheeky plans into action. While Auckland will be buzzing during the warmer months, there’s somewhere else we need to shed some light on. We’re talkin’ the might south. The South Island is an absolute playground of summer activities waiting for you to explore. From legendary hikes, stunning lakes and national parks to adrenaline adventures and fun for foodies, here are 30 awesome things to do in the South Island this summer. Bring. It. On. Party in the stunning Cardrona Valley and ring in the New Year at Rhythm & Alps. Fat Freddy’s Drop, Tash Sultana and Little Dragon will be ripping up the stage. Leap off the Kawarau Suspension bridge in Queenstown. Go on—we know a bungy is on your bucket list. 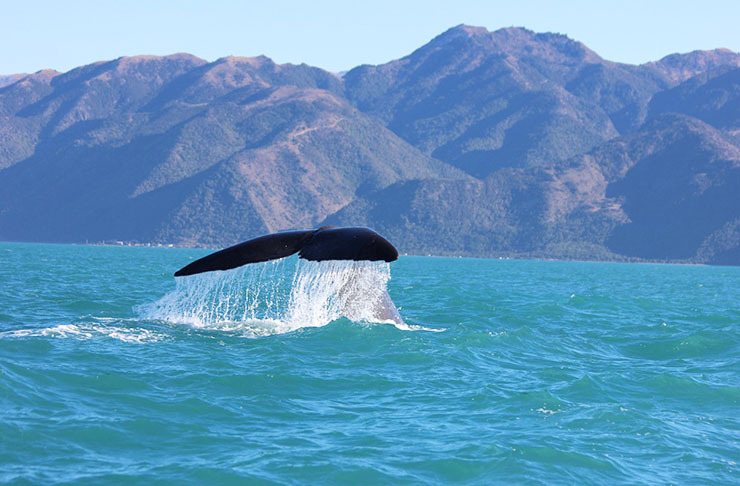 Head to Kaikoura to witness gentle giants in their home. Sperm whales will have you believing in magic. Say hello to the cute dudes of the Ohau Point Seal Colony while you’re there. Hop on ya bike and ride the Great Taste Cycle Trail, starting in Nelson and taking you to the best spots for wine, seafood and produce. A foodie’s dream! Dedicate some serious time to exploring Milford Sound. This magnificent fiord needs to be seen to be believed. Rock climbing your thing? Castle Hill, between Darfield and Arthur’s Pass, offers some of the best bouldering in the country. Just make sure you block up! Our sun is fierce. Take on some (or all!) of the Otago Central Rail Trail. This 150-kilometre track pairs epic landscape with winery, cafe and pub pit stops along the way. Picnics in the park? Summer wouldn’t be summer without them! Christchurch Botanic Gardens are a winner. See why everyone raves about Wanaka. From wineries and walking trails to delish eateries and the glistening lake, this beaut place has it all! While you’re there, be sure to brave the beautiful beast that is Roys Peak. This zig-zag walk will take six hours and take you up to 1578 metres but the panoramic views of Lake Wanaka will be worth the pain. Promise. Get snap happy at Lake Tekapo. 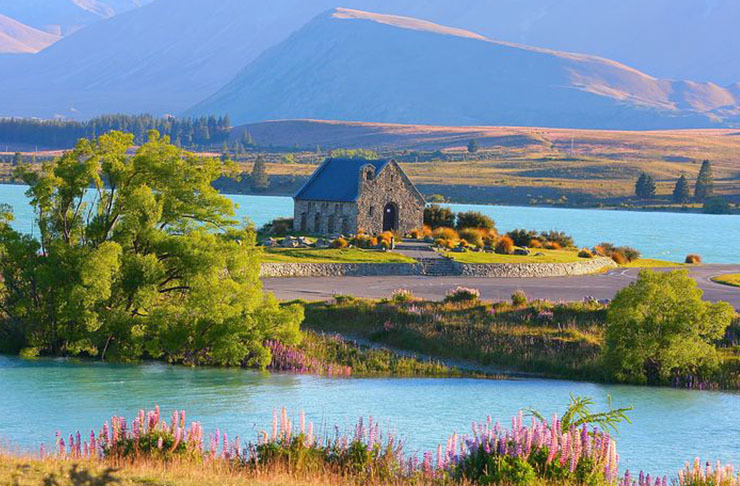 This turquoise lake is one of the prettiest sights in New Zealand. Walk through not one but two of New Zealand’s national parks—Mount Aspiring and Fiordland—on the legendary Routeburn Track. It’s 32-kilometres long and takes around three days so will leave you feeling like a total badass. Kayak through the Abel Tasman National Park. It will be one of the best things you’ll ever do! Taste the Pride of the South straight from the source at Speight’s Brewery in Dunedin. 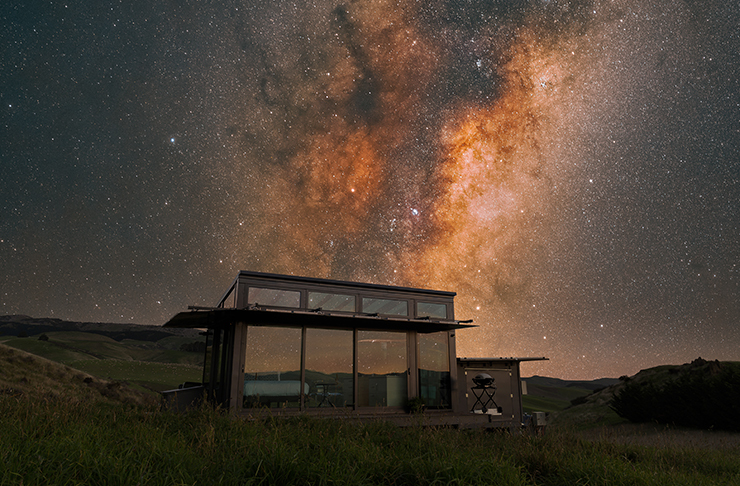 Sleep under the stars in a PurePod plonked in the middle of nowhere. There’s five of them dotted across the South Island. Skydiving in New Zealand is all sorts of epic and Franz Josef is one of the best. Think of the adrenaline rush! On yer horse! High Country Horses in Glenorchy offer an unforgettable adventure through some of New Zealand’s most beautiful countryside. Get your camp on. There are hundreds of camping grounds and DOC sites scattered across the South Island. Just don’t forget the marshmallows! Summer = hours upon hours at the beach. 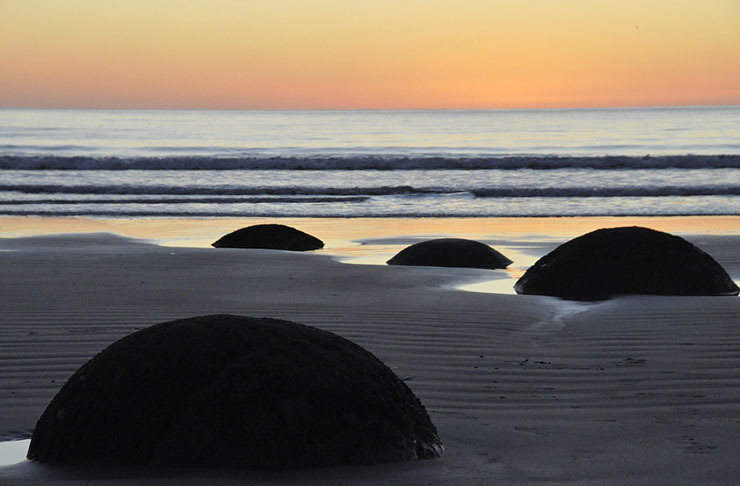 Some top spots include Moeraki, (home to those famous boulders), Wharariki and all the Abel Tasman gems. You know how you’ve been meaning to surf every single summer? This summer is the summer! Board Silly Surf Adventures, The Esplanade Surf School and Catlins Surf will all have you throwing shakas in no time. Stewart Island is a slice of paradise. Don’t believe us? Go check it out yourself. You’ll find breathtaking beaches, friendly locals and crazy good food. What would summer be without vino? The Gibbston Valley holds some of the best wineries in the country so really, it would be rude not to pay them a visit. It’s a wine-o’s dream! A spot of golf? We think so. The South Island has some truly stunning spots to help you on your way to becoming the next Lydia Ko. Yes way, rosé! Marlborough produces a whopping 75% of our fave pink drink and is a hoot during the warmer months. Be sure to be there for the Marlborough Wine and Food Festival on 10 February—it’s set to be a cracker of a day. 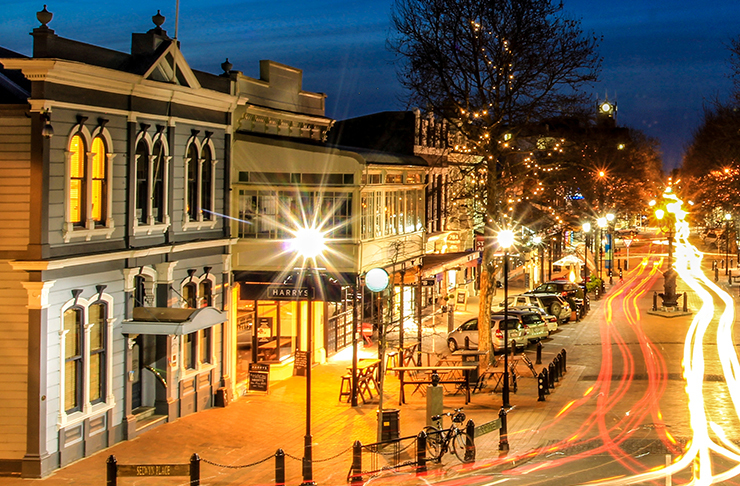 Visit the centre of New Zealand in Nelson. Both the view and the steep walk to the top will leave you breathless. Hire a campervan and cruise down the coast, stopping off at all the above gems along the way. It’s a surefire way to make it a summer to remember! One word: food. Whether it’s classic fish ‘n’ chips on the beach or a roadie lunch stop (Riverstone Kitchen is a solid option), let this summer be about treating yo’self. Flip out over Punakaiki’s Pancakes Rocks. Said to be more than 30 million years old (! ), these rock formations are really something special. Pro tip: visit at high tide to watch the blowholes do their thing.